A terrifying new adventure has arrived! The Shadow Woods is a world unknown to humans, a place where dark and grizzly creatures live. Sophie is the Guardian of the magical door to this realm, charged with keeping its horrors shut in. 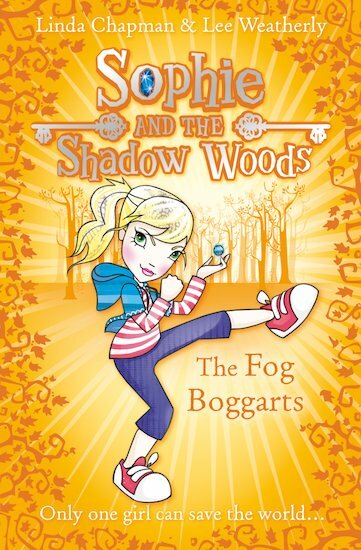 In her battle to save humankind from the goblins, trolls and other evil things that lurk beyond the dark gateway to the woods, Sophie finds herself in hand-to-hand combat with the stinky, slimy Fog Boggarts. Follow Sophie as she risks everything to fight off these ruthless and repulsive creatures! I have heard partly some of it on a audiobook with 2 other sophie books. Read the first one it is totally cool as well!